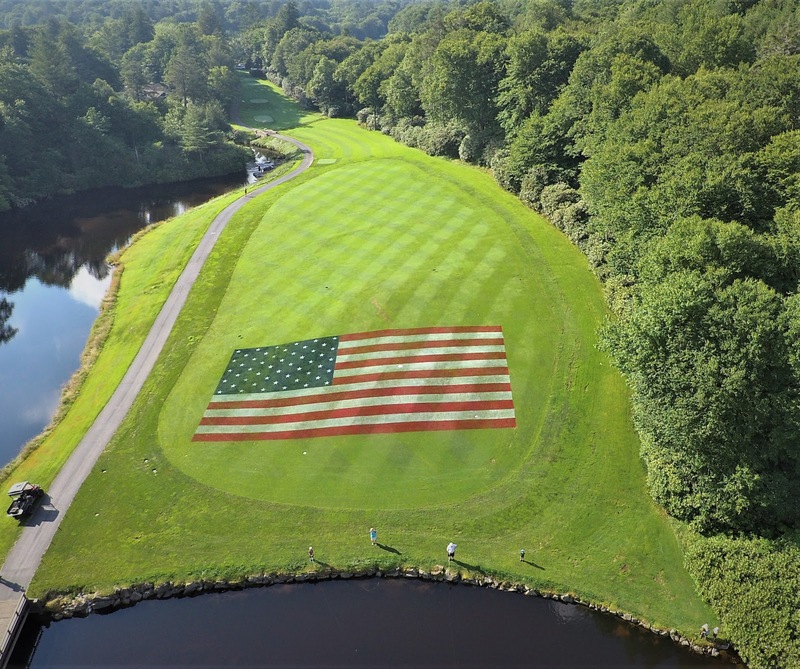 The weather on Monday was outstanding and it provided ideal conditions to paint the American flag. The job went nearly perfect and we again have that beautiful sight on the 17th fairway. Additionally, I want to thank all the members for sending me pictures of the flag with your drones. 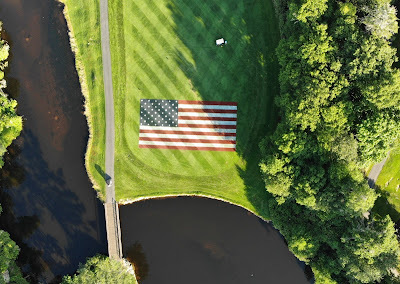 Its truly a stunning sight from the air. Assistant Superintendent Josh Cantrell after finishing the flag. For about 14 years now, the HFCC maintenance staff has been painting the American flag on #17 fairway. 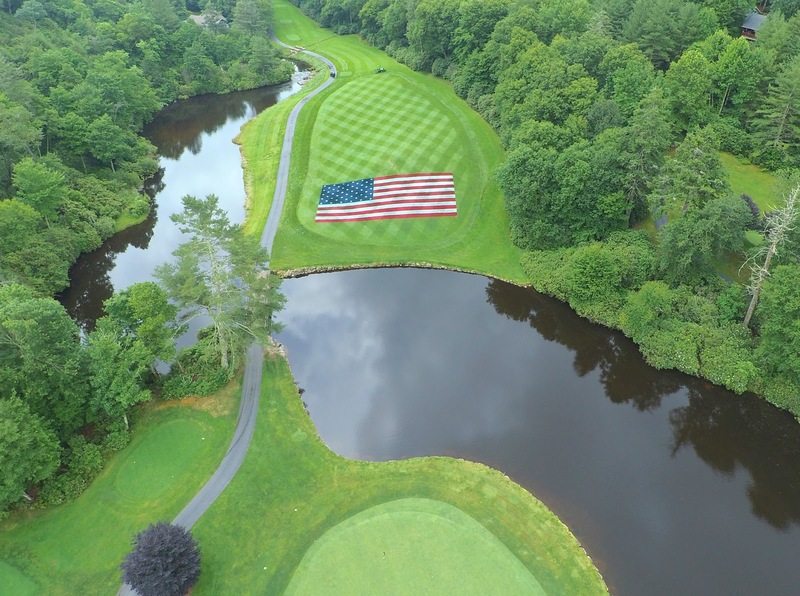 17 was chosen as it provided a perfect position for the flag to be seen from the clubhouse. 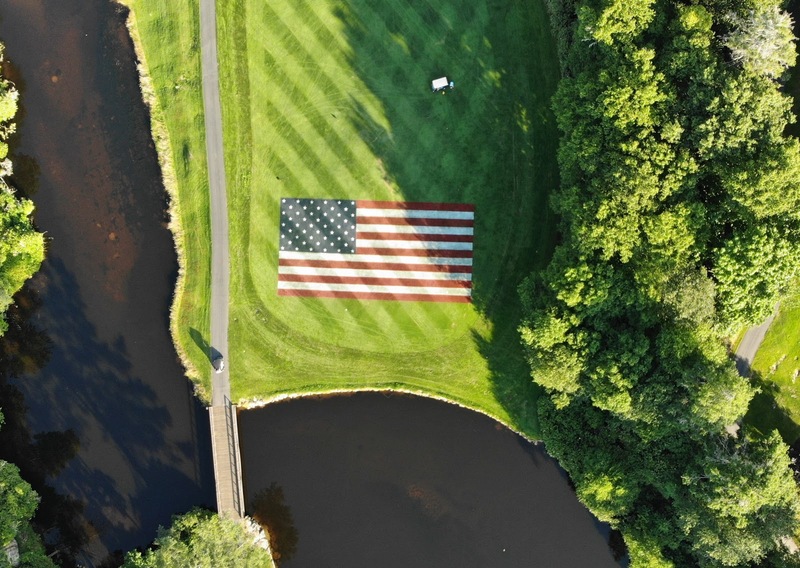 The flag measures 100 feet across and takes over 1500 feet of twine to set up. We use 10 gallons of red, 10 gallons of white, and 5 gallons of blue turf paint in addition to a case of white spray paint. We also go through a few pairs of old shoes and pants. From start to finish, it takes approximately 4 hours to complete.